Every trip seems to have an incident that doesn’t quite go to plan, sometimes minor and sometimes catastrophic. 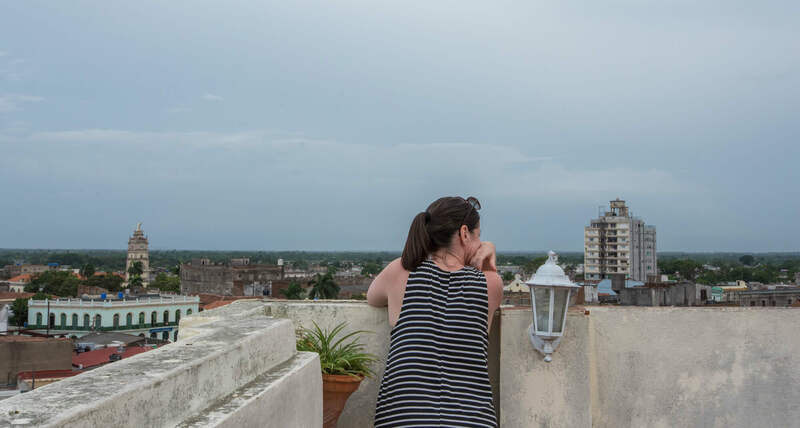 Our trip to Santiago de Cuba from Camagüey was our “adventure” that didn’t quite work out. 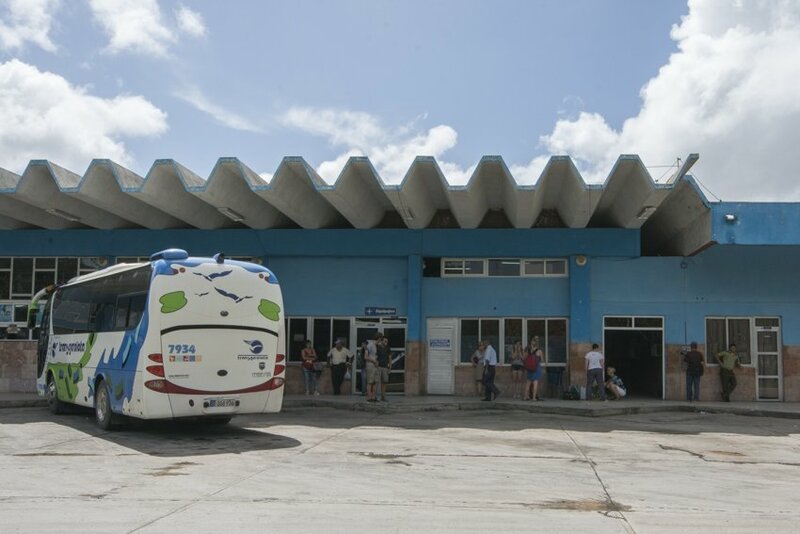 We headed to the bus station of Camagüey an hour before our departure. Our taxi took us without incident. We checked in with Viazul easily. All we had to do was wait and wait and wait…. It quickly became apparent that our bus was not going to arrive on time. 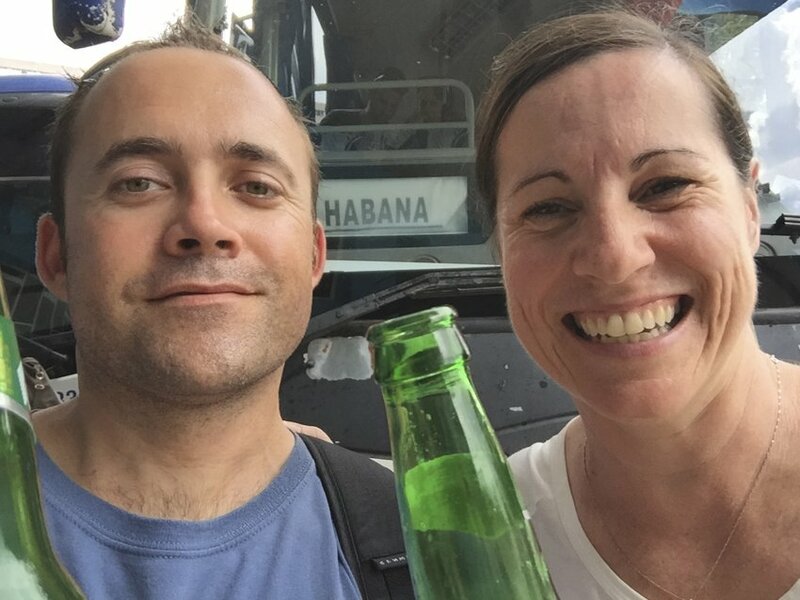 It was coming from Havana but this did not cause too much stress for David and me as our Viazul bus to Camagüey from Santa Clara was an hour and an half late. After two hours we started getting antsy and a small group of us tourists had bandied together, venting our concerns and frustrations. All the bus station staff could tell us was that, “it is coming”, without any indication of when. David had quickly become the group’s spokesperson and conveyor of information, what little there was, as the only native Spanish speaker in the group. Read more about where we visited in Cuba here. Amongst all of this, the cleaners of the station were cleaning the floor both inside and outside of the waiting area with copious amounts of water. No matter where our little posse of foreigners stood it seemed to be where they wanted to clean next so we got aggressively herded from one spot to the next. After about three hours there was talk about getting refunds and sharing taxis to Santiago de Cuba, where most of us were heading. Unfortunately only those who had bought their ticket directly from the station were eligible for a refund, which of course was not us. David and I had decided that if the bus had not arrived by 13:00 we would forego the 18 USD we had paid for our tickets and share a taxi with two others (word on the street was this was going to cost us 20 CUC (20 USD). As we watched the local buses come and go, as well as the clock tick by, suddenly one of the guys called out, “Viazul bus!”. We shuffled over to the empty bus bay like a herd of sheep relieved that we were finally going to start the six and a half hour journey to Santiago. End of story I hear you say. Not so bad I hear you say. All of the people who were on the bus were told to get off the bus, despite their luggage remaining on the bus, as they were taking the bus to get repaired. You see, this is why there had been such a long delay. “5 minutes”, they said. Now this is Cuba. We had quickly learnt that five minutes is NEVER only five minutes. So we patiently waited and the talk of sharing taxis began again. David was keener than I was to just go with the taxi option so our compromise was to wait until 14:00. If the bus wasn’t back we would lose our 18 USD and pay for a taxi. As the clocked approached 2pm, and of course the bus was nowhere to be seen, my concern was that even if it did come back to pick us up that it could very well break down again. I’m sure you’re not surprised to read that 2 o’clock came and went to no avail. So off we traipsed to collect our bags from the luggage room. The guy who let us in (by opening the window to get the door handle to fit in the door to open it) at first seemed reluctant to give us our bags but then he realised an opportunity had fallen into his lap. He told us to wait and he would see what he could do for us. Check out here some of the people we met while in Cuba. Magically there was a Transgoviota bus about to leave for Santiago de Cuba. Three of us decided to fork out another 18 CUC so that we could finally get out of that damn bus station. It turned out that one girl from our group had already found her way on the bus and we picked up another four of our crew fifty metres after taking off. The driver was very happy to have us on board. No wonder, I’m pretty sure he pocketed the extra 18 CUC we each paid him (all eight of us). Oh well, good for him. He actually turned out to be a really nice guy. 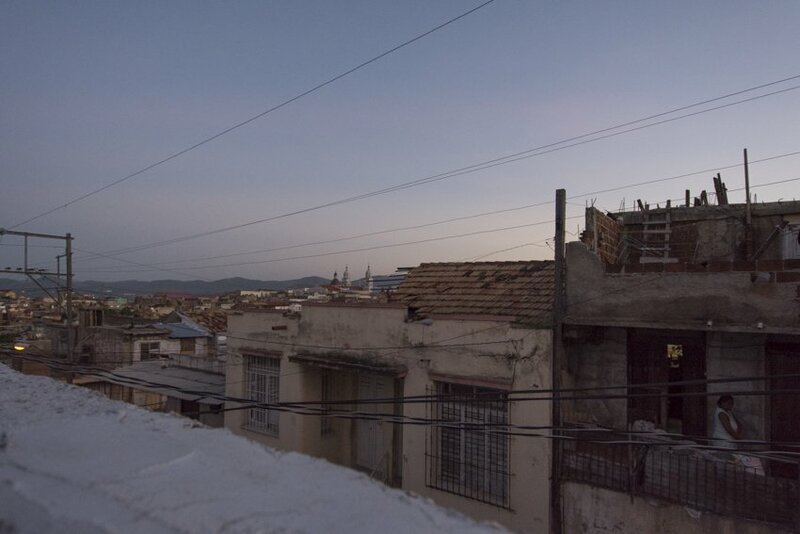 He tried his best to drop us off as close to the town centre as possible upon arriving in Santiago de Cuba. Yes, we eventually made it, albeit four hours late. Once we got ourselves comfortable in our reclining chairs and our sweat soaked clothes dried from the air conditioning, we sat back and relaxed and watched a constant loop of what I can only assume were the latest hits on the Cuban song charts. At least the teenage girls sitting behind us singing along indicated this. We passed through one small farming community after another, past fields of sugar cane and banana trees dotted with palm trees laden with coconuts. The locals with whom we shared the bus with either got off at one of the small towns or would approach the front of the bus and alight in what seemed to be the middle nowhere. What tickled my fancy at one of the stops in a very small village was a man who got off without any luggage whatsoever. He crossed the road and sat on a bench (where another guy was sitting), in front of a pharmacy that looked very closed, and just sat there without talking to the other guy as if he was going to sit there and watch the world go by. It seemed like an unusual thing to do after sitting on a bus for hours and hours. We finally made it to Santiago after dark. We waddled up to one of the main squares with our backpacks on our front and backs, sticking out as tourists like a sore thumb for the jinterios. Unusually it took a while for us to be approached or called out to, asking if we wanted a taxi. It took a dodgy (yes there’s more to this saga) young guy in his early twenties to approach us. It was a matter of seconds after we confirmed our need for a taxi that we were joined by his three mates. After much discussion and a phone call to our casa owner about how to get to the casa we agreed upon a price and followed him to his car parked in the darkness near the plaza. Click here to learn more about staying in casas particulares. We had to put our luggage on the back seat with me, probably because the boot didn’t open. The inside of the car was like a skeleton, the body of the car was completely exposed. There wasn’t any interior covering, including a missing inside door handle, however it had a great sound system (talk about priorities). There were numerous stops to ask people on the street directions, who all seemed to give different responses, and another call to the casa owner. Amazingly we managed to arrive at out lovely casa in one piece and without being completely ripped off. Well we know that wasn’t the worse possible travel story ever so tell us about yours in the comments section. We’d love to hear from you.